Chris Duffey spearheads Adobe's Creative Cloud strategic development partnerships across the Creative enterprise space. 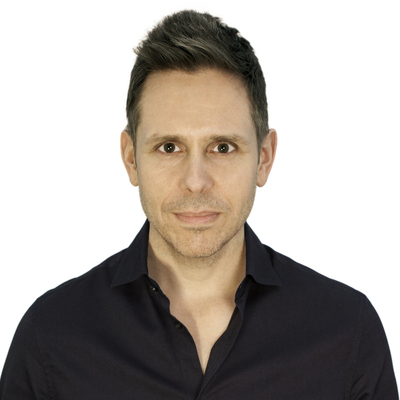 His keynotes have received over 50+ million impressions and been reported around the world by Access Hollywood, Extra, Ok Magazine, Hello, People, Daily Mail and Euro News. Chris has been profiled by The Wall Street Journal, The Guardian, Inc., Adweek, Adage, Cheddar, The Mirror, The Drum, Campaign, CMO.com, New York Post, Business Insider and by Google, McKinsey and Wharton in their digital marketing book. Chris also serves on Rutgers University Data Advisory Board and The Board of Directors for ANA NY. Before Adobe, Chris was an Award-Winning Executive Creative Director, noted speaker, author and Artificial Intelligence & Mobile Technologist. He has been featured by Business Insider, and Yahoo as one of "The industry's leaders on the top issues, challenges and opportunities in the fast-changing world of mobile marketing." Chris has been a creative consultant with over 35 advertising agencies across the global holding companies: WPP, IPG, Havas, Omnicom, Publicis and MDC, having worked across every major industry vertical.